Welcome to The Olive Stall - where you'll find our specialist olives and unique marinades made from our home grown herb dressings. We are delighted to introduce you to our Online Stall, where we try to entice you into trying something new and exciting with our extensive range of Mediterranean sourced or inspired olives and oil. Our own taste and inspiration shines through in the quality of each product and we personally choose each one based on whether we like it and for no other reason. Our olives come directly from regional producers, specifically in Western Sicily, Italy and Greece, to guarantee your taste experience and bring the exciting flavours of the Mediterranean to your table. Many of our olives are dressed with marinades we lovingly prepare using fresh herbs and garlic we grow in our garden without the use of any pesticides or chemicals. 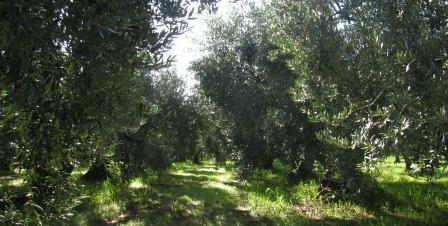 We are proud to offer the finest Single Estate Extra Virgin Olive Oils from Sicily and Crete. A unique addition being our Organic Olive Oil, Zefiro Biologico, from Western Sicily, a fruity oil with a hint of tomato, artichoke and spice, ideally used as a dipping oil or in dressings and marinades. To complement our range of Mediterranean foods, we have included a selection of dried fruits and seasoned and roasted nuts. "Our philosophy is, where possible, to ethically source the freshest, highest quality products grown without chemicals. So welcome to our exclusive range of farm sourced Sicilian olives and Italian antipasti enriched with our home grown herbs and garlic marinades, all complemented by organic extra virgin olive oil."